REUSABLE CLASP: Designed for repeated use, double prong metal clasp is durable and eyelets are reinforced . Great for home, office, school, interoffice or mailing. 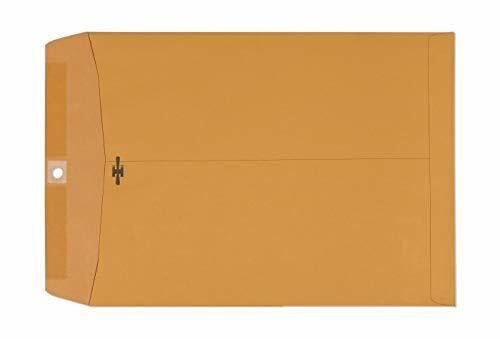 BROWN KRAFT 28 LB STOCK: Perfect for everyday home and business use, Quality Park's clasp envelopes are constructed from heavyweight 28 lb. brown kraft stock designed to give contents extra protection during mailing, storage and handling. 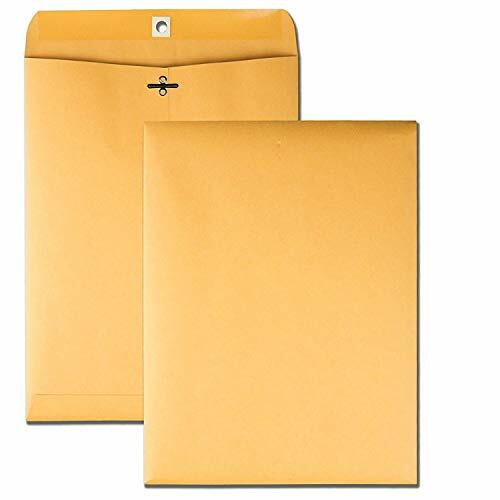 GUMMED FLAP: In addition to the clasp closure, these Quality Park envelopes have a moisture activated secure seal with deep Gumming on the flap to create a permanent seal. The flaps close with full flap GUM to endure humid climates to ensure the envelope stays sealed so your contents don't fall out! 9 x 12 SIZE: Perfect size for mailing and storing 8-1/2 x 11 sized documents flat when folding is undesirable. PACKED IN 100 COUNT: So many uses means supply is depleted quickly! Conveniently packed in 100 count to reduce frequency of purchasing. HEAVY DUTY ENVELOPES 10X13 These professional-looking Multipurpose Envelopes feature a dual-purpose seal that allows multiple uses. 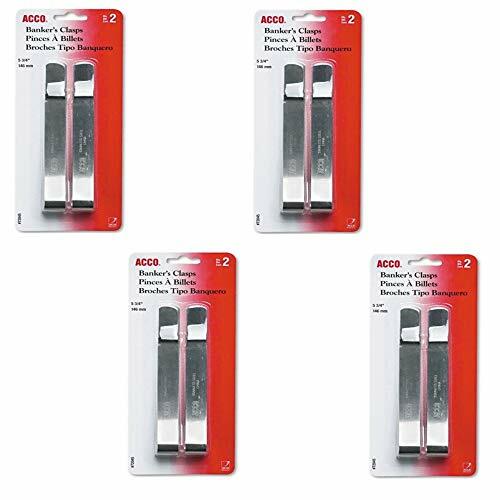 Use their fully gummed flaps for mailing or their strong metal clasps for repeated use and storage purposes. Comes 30 in a pack. 76020 Features: -Envelope. -Clasp. -Heavyweight. -Made in the USA. Product Type: -Plain Envelopes. Country of Manufacture: -United States. Dimensions: -Depth: 0.88. Overall Height - Top to Bottom: -14.45". Overall Width - Side to Side: -9". Overall Product Weight: -0.89 lbs. Quality Park #8-5/8 Double-Window envelopes have layered privacy features to keep checks secure. Reveal-N-Seal envelope flaps are perforated to show evidence of tampering. Opaque sides have a complex security pattern that obscure letters and numbers, even when held to light. Patented fold-in-place flap won't seal prematurely. Just raise the bottom flap and press to seal. Double windows work with checks for payroll and accounts payable applications. # 8 5/8 Double-Window Check Envelopes. Self sealing. 24 lb. White wove paper. 500 Per box. PROFESSIONAL BUSINESS FORMAT: Double-windows show sender and receiver addresses. Made with modern side-seam construction in crisp, bright white. BUILT FOR HR, FINANCE & ACCOUNTING: Window setup compatible with most 3-5/8" x 8-5/8" checks for payroll and accounts payable. ENHANCED PRIVACY PROTECTIONS: A complex security tint with pattern obscures letters and numbers, even when held to light, shielding client or employee data. PATENTED SEAL PREVENTS WASTE: These envelopes have folded flaps that won't stick prematurely raise the bottom flap in place and press for an aggressive, quick seal. TAMPER-EVIDENT CLOSURE: Built-in perforations along the top flap help prevent tampering. 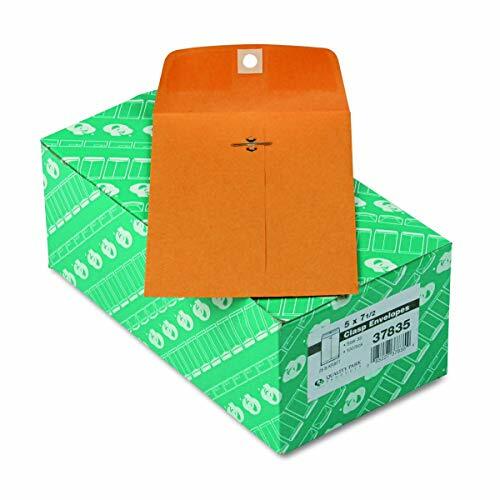 STOCK-UP BOXES: Office-friendly 500-envelope quantity keeps necessary supplies on hand for mailing paychecks and payments. Pack and push the envelope with heavy duty Kraft construction! From family pictures and artistic portraits to interoffice mail and international shipping, never settle for anything but the sturdiest, most resilient envelopes around. 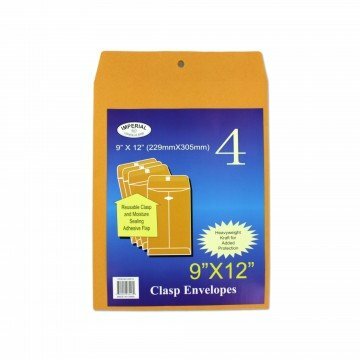 These classic 9" x 12" Clasp Envelopes by Check O Matic are a powerful solution for a variety of paper mailing and storage tasks. Featuring reusable clasp-style prongs, reinforced eyelets and self seal gummed flap closures, our Kraft classics boast an impressive paper weight of 28 lbs, giving them the superior strength of comparable cardboard products. They're also generously sized for sending catalogs, magazines, mailers, large invitations, flyers and more. For first-class performance from the courier to the filing cabinet, add a pack of Check O Matic Clasp Envelopes to your cart today! Reusable Convenience Stop spending countless dollars on your correspondence. 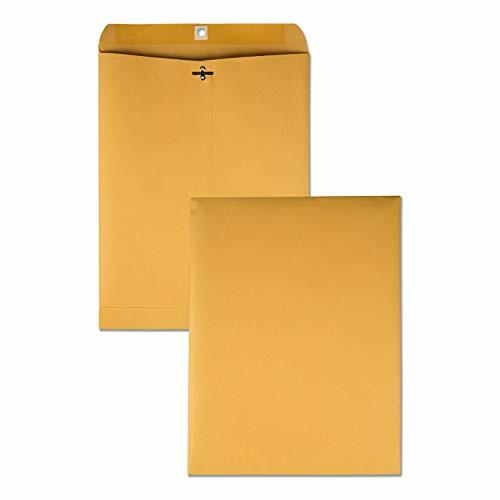 These ideally sized 9"x12" envelopes can be recycled for everything from marketing magazines and legal letters to school storage and interoffice mail. 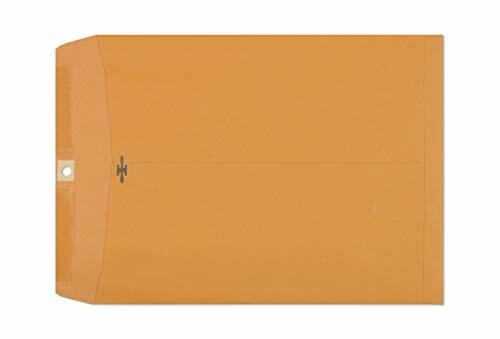 Heavy Duty Construction Quality Kraft paper ensures each envelope won't rip, puncture or fade with repeated use. Their ample blank space and natural brown color accommodate both written and printed designs, so feel free to get fancy! Extra Strong Adhesive Convenient clasp fasteners easily lock contents inside for swift sending. You'll also enjoy additional backup bonding thanks to the gummed flap's superior stick quality. Open Ended Design Unlike booklet style envelopes, these prove remarkably versatile for everything that's oversized. Stuff large documents, heavy catalogs and stamp sheets inside with ease. Need superior strength? Prepare to push the envelope! From interoffice mail to international shipping, never settle for anything but the sturdiest, most resilient envelopes around. These timeless 6"x9" Clasp Envelopes by Check O Matic are the perfect solution for a variety of paper mailing and storing uses. Featuring reusable clasp-style prongs, reinforced eyelets and super-strong gummed flap closures, our Kraft classics boast an impressive paper weight of 28 lbs, giving them the superior strength of comparable cardboard products. They're also optimally sized for 1-stamp sending, saving you half the cost of other unnecessarily large catalog style envelopes. For first-class performance stuff after stuff, go with what's tried-and-true-and add a pack of Check O Matic Clasp Envelopes to your cart today! Multipurpose Mailers Somewhere between small and large lies this ideally sized set of 6"x9" envelopes. Use them for everything from marketing magazines and legal letters to invitation flyers and office correspondence. Heavy Duty Composition Quality Kraft paper ensures each piece won't rip, puncture or fade with repeated use. Their ample blank space and light brown color accommodate both written and printed designs, so feel free to get fancy! Extra Strong Adhesive Convenient clasp fasteners easily lock contents inside for swift sending. You'll also enjoy additional backup bonding thanks to the gummed flap's superior stick quality. Open End Orientation Unlike booklet style envelopes, these prove remarkably versatile for everything that's pint-sized to oversized. Stuff folded documents and heavy catalogs with utmost ease and security. One Stamp Savings Maybe you don't need 500, or even 100. Our bulk supply meets your precise needs with 30 envelopes, so there's never waste or worry. You'll also save money on postage if it's under an ounce. 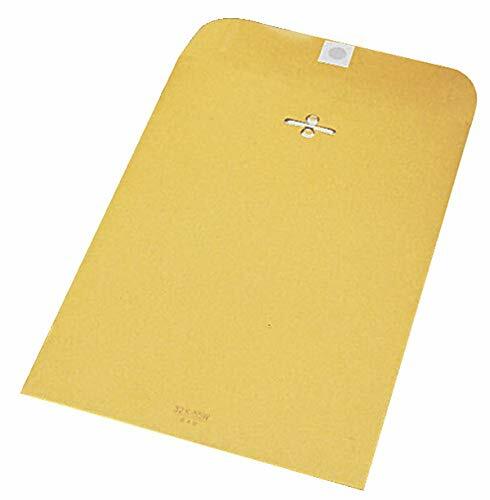 Large mailing envelopes are made of 28 lb heavyweight kraft stock and have wide seams for security. The deeply gummed flap has a reinforced eyelet to receive the double prong metal clasp. Need superior strength? Prepare to push the envelope! From interoffice mail to international shipping, never settle for anything but the sturdiest, most resilient envelopes around. 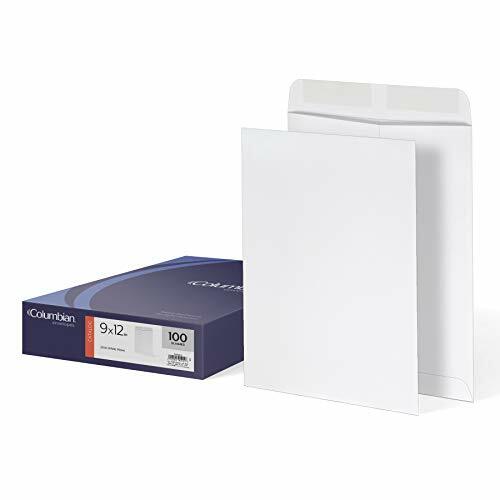 These timeless 10"x15" Clasp Envelopes by Check O Matic are the perfect solution for a variety of paper mailing and storing uses. Featuring reusable clasp-style prongs, reinforced eyelets and super-strong gummed flap closures, our Kraft classics boast an impressive paper weight of 28 lbs, giving them the superior strength of comparable cardboard products. They're also optimally sized for 1-stamp sending, saving you half the cost of other unnecessarily large catalog style envelopes. For first-class performance stuff after stuff, go with what's tried-and-true-and add a pack of Check O Matic Clasp Envelopes to your cart today! 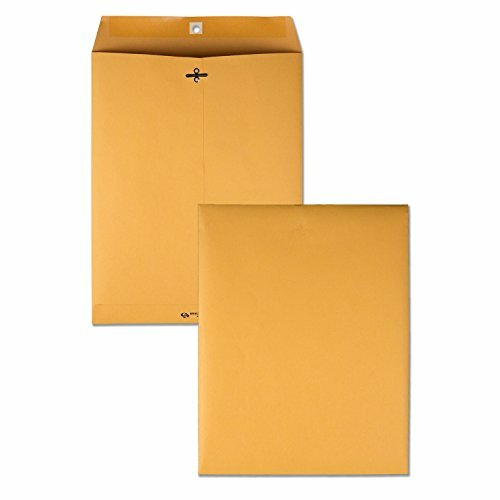 Multipurpose Mailers Somewhere between small and large lies this ideally sized set of 10"x15" envelopes. Use them for everything from marketing magazines and legal letters to invitation flyers and office correspondence. Heavy Duty Composition Quality Kraft paper ensures each piece won't rip, puncture or fade with repeated use. Their ample blank space and light brown color accommodate both written and printed designs, so feel free to get fancy! Extra Strong Adhesive Convenient clasp fasteners easily lock contents inside for swift sending. You'll also enjoy additional backup bonding thanks to the gummed flap's superior stick quality. Open End Orientation Unlike booklet style envelopes, these prove remarkably versatile for everything that's pint-sized to oversized. Stuff folded documents and heavy catalogs with utmost ease and security. One Stamp Savings . Our bulk supply meets your precise needs with 350 envelopes, so there's never waste or worry. You'll also save money on postage if it's under an ounce. 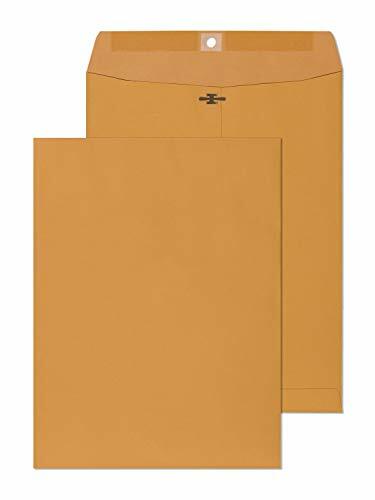 BROWN KRAFT 28 LB STOCK: Perfect For Everyday Home & Business Use - 975 SUPPLY Clasp Envelopes Are Constructed From Heavyweight 28 lb. 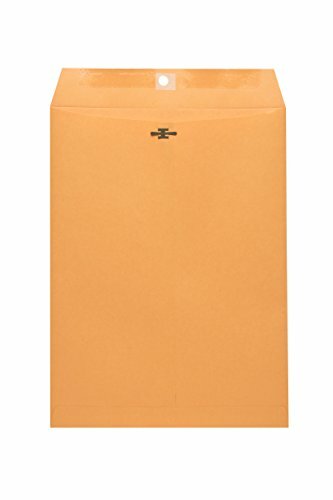 Brown Kraft Stock Designed To Give Contents Extra Protection During Mailing, Storage & Handling. 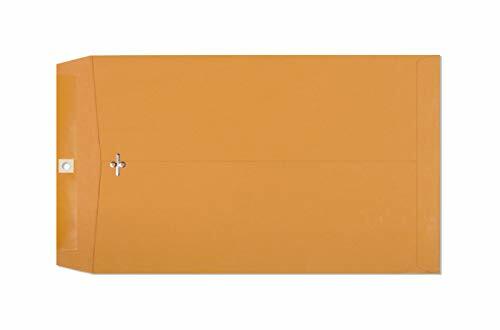 Perfect for sending documents in the mail or securing them in storage, this 4-piece Medium Manila Clasp Envelopes Set features envelopes made from heavyweight craft paper for strength and security. Each envelope has a reusable metal clasp and a moisture-sealing adhesive flap. 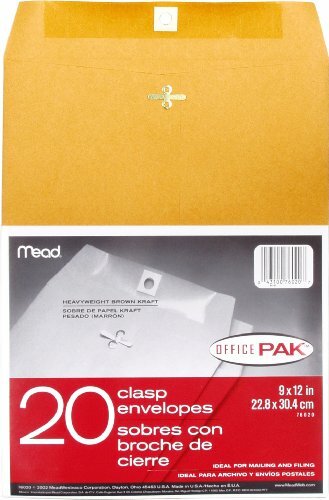 Envelopes measure approximately 9" x 12" when closed. Comes packaged in a hanging poly bag. 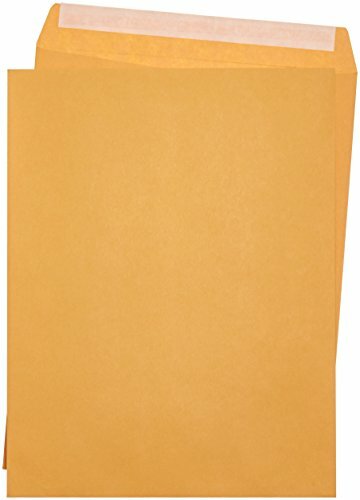 Columbian 9" x 12" Envelopes are perfect for document storage and everyday mailings. Large 9" x 12" size fits 8-1/2" x 11" sheets, catalogs, booklets and photos that you d rather send flat without folds. 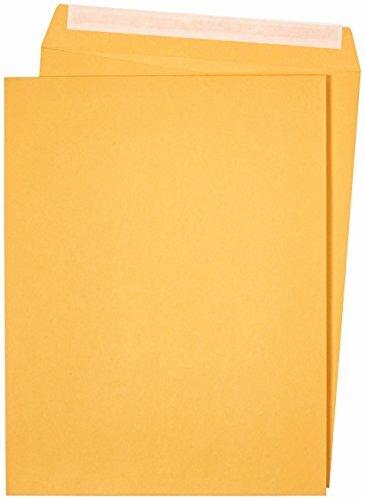 These Columbian envelopes are made from heavyweight 28 lb. white wove paper. Keeps private contents safe and concealed. Moisture-activated gummed flaps provide a permanent seal that keeps documents secure. 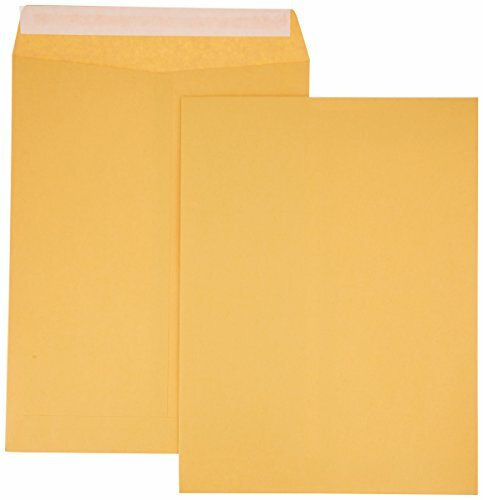 When kept in a cool, dry place, gummed envelopes can last years in storage. Catalog-style envelopes open on the short side so you can drop in letter-sized contents and enclosures with ease. Center seams make a stronger, more durable envelope for holding heavy inserts. Ideal for mailing thick insurance documents, annual reports, invoices, statements, marketing promotions and more. Stock up for home, office and school. 100 Per box.